Sam Ingels, 65, Maryville died Thursday, March 31, 1994 at his home. 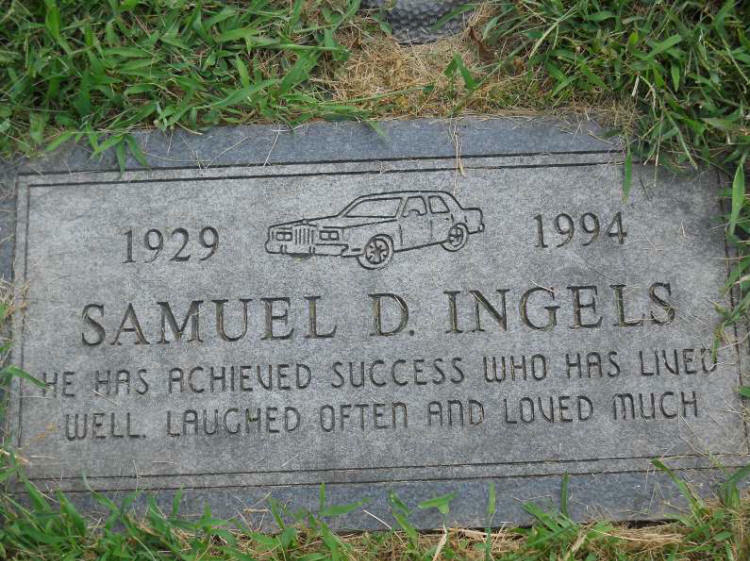 Born February 22, 1929 in Pickering to William and Thelma Fern Orme Ingels, he was co-owner of Ingels Ford-Mercury-Lincoln agency in Maryville for 20 years. He married Marilyn O'Riley, January 22, 1991 in Las Vegas. 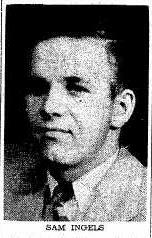 Mr. Ingels was a Maryville High School graduate and attended Northwest Missouri State University for one year. He was a member of St. Gregory's Catholic Church; the Eagles Lodge, Maryville; and the Elks Lodge, Maryville. He was preceded in death by his father and one son, Bennie Ingels. Survivors include: his wife of the home; his mother, Thelma, Maryville; five daughters, Nancy Conner, Jane Pepper and Sally Boyce, all of Colorado Springs, Colorado, Dana Olson, Englewood, Colorado, and Jill Friesen, Aurora, Colorado; one son, Sam Ingels, Littleton, Colorado; two Stepsons, Lee and Travis Beaver, both of the home; three brothers, Leroy Ingels, Colorado Springs, Harold Ingels, Maryville, and Hubert Ingels, Colorado Springs; three sisters, Martha Buckridge, Maryville, Wilma Appleby, Colorado Springs, and Garnetta Wallace, Apache Junction, Arizona, 18 grandchildren; and two great-grandchildren. Formal visitation will be held from 7 to 8 p.m. today at Price Funeral Home, Maryville. A Mass of Christian Burial will be at 11 a.m. Tuesday at St. Gregory's Church, Maryville, with the Rev. James Jones OSB officiating. Burial will be in Nodaway Memorial Gardens Cemetery, Maryville. Memorials may be made to American Heart Association, American Diabetes Association or the Petre Fund.